My LEGO city was photographed for the cover of New York Magazine's March 8 2004 issue. They, instead, ran this photo as a lead-in for the issue's Real Estate article, and included the text you see here. This photo was used as a full-page compliment to the article. As an editorial on the housing probelms in Manhattan, the picture shows a long line of LEGO people who have assembled for an "open house". 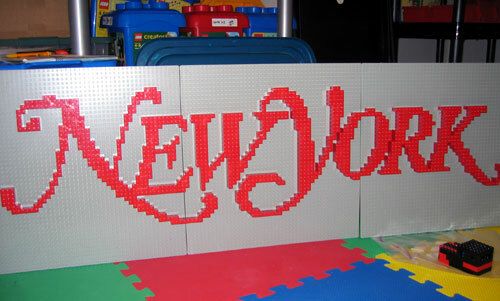 The cover also would have included a LEGO version of the New York Magazine logo that I built. The photos were taken by a professional photographer named Holly Lindem who has done work for Discover Magazine, US News & World Report, and Popular Science, among others.